Gone are the days when traditional billboards and static imagery captured people’s attention. With a blend of creativity and innovation, a new genre of outdoor digital experience has been born. Communications can now be optimised to integrate cutting edge digital technologies. Posters, billboards and installments are now being digitally revamped to encapsulate interactive elements. Customers spend more than 70% of their waking hours outside of their homes. Digital outdoor advertising strategically brings customer-specific communication to the table and captures people while they’re on the go. Digital displays are ubiquitous – from kiosks and bus shelters to sophisticated malls. The new generation installations are being consolidated with facial recognition webcams, touch screen posters and weather detecting smart billboards. See below some of the benefits of opting for digital experiences rather traditional print ads. This massive transformation from outdated print advertising to the digital realm has cannibalised the marketing landscape for brands who’ve begun implementing digital ads. With the explosion of consumers using digital across multiple media platforms, like web, mobile, tablet and social, brands now must connect touchpoints in order to enhance mass consumer reach. Interactive outdoor advertising can amplify a customer’s retention span and brand recall rates. A study conducted at a Boulder Prana store reveals that converging outdoor advertising into the digital frontier results in a 60% improvement in engagement. People are more interested in skimming through websites, sharing social media content, comparing prices, downloading apps and directly buying products. Interactive elements summate a novel twist to outdoor advertising. To enhance the customer experience, some outdoor displays stimulate all five senses of the human body. The strategically placed location and innovative nature of the displays can’t help but grab the attention of customers. Digital signposts provide dual benefits to a campaign, those being: boosting brand popularity and increasing buzz about the campaign. Australia isn’t new to the premium digital frontier. 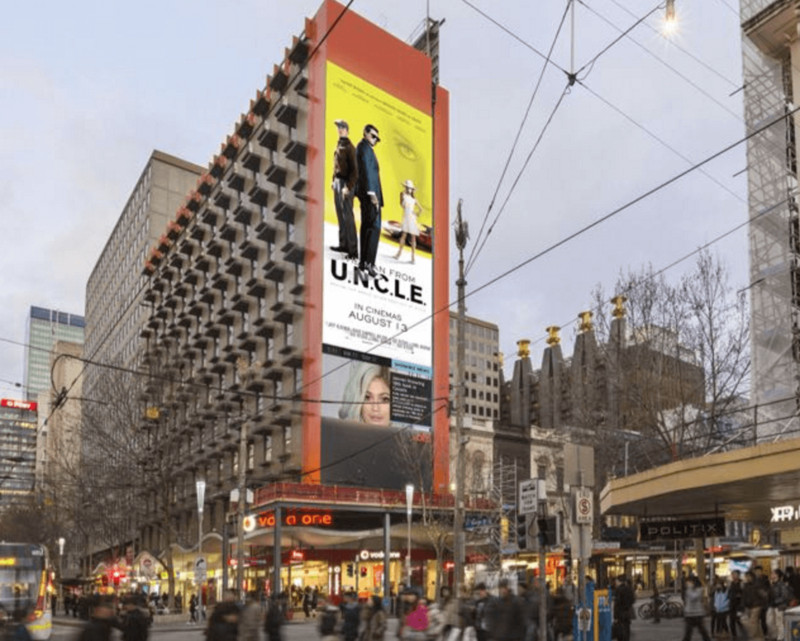 The country’s largest high definition and full motion video billboard named The Bourke’s is located in the centre of Melbourne’s CBD. With the city thronging with shoppers, brands can make an unmissable impact in the retail district. Digital display screens work ‘round the clock and adapt to reflect real-time weather. Billboards mirror atmospheric changes like rain, day and night. Smart billboards are the future for outdoor campaigns. They facilitate profiling the age and gender of consumers. From this, demographics can be summarised and brands can easily see the groups of people who have viewed their advertising. Due to the pool of data being large, and captured over a period of time, the customised ads become very accurate. Algorithms are employed to fine tune and spark life into billboards, while the video analytics technology exhibits advertisements according to the current environment and demographics that are viewing the display. For example, if it’s raining, waterproof apparel is advertised, rather than unrelated furniture or summer blow-up pools. 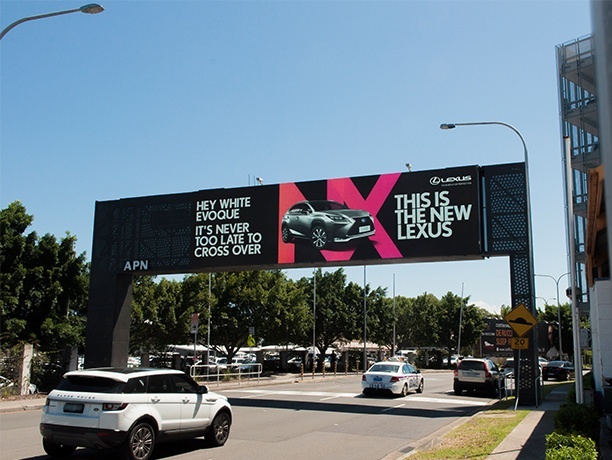 Automotive brand Lexus took advantage of the experiential digital tech for their This Is The New Lexus campaign in Australia. They did this by creating a smart billboard designed to tailor messages to non-Lexus drivers passing by. The revolutionary technology detects the type and colour of cars, a never before achieved feat in digital outdoor advertising. Outdoor advertising also streamlines the touchpoint connection to mobile channels. The convergence of mobile and outdoor digital advertising has evolved to integrate state-of-the-art technologies. 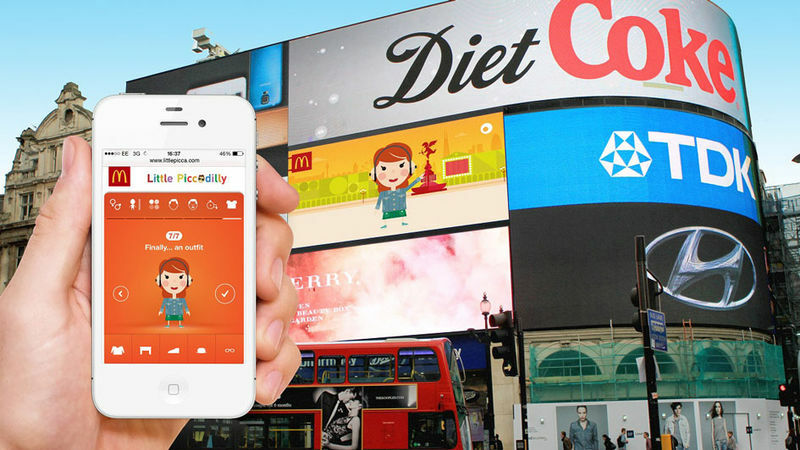 McDonald’s Little Piccadilly campaign launched a website that allows consumers to create animated avatars of themselves through their smartphones. The website then posts their avatars as a short animated film on the billboards nearby. The dynamic interactivity level provided by touchscreens enriches the accessibility options for users and elevates cross promotion post-experience. Seamless content optimisation also allows a lucrative exchange of communication between the customer and brand. This direct interaction, device-to-screen, brings out a sense familiarity by making content personalised and offers relevant. The Australian retail giant, The Iconic, utilises transit technology in buses to increase traffic for their app and mobile site. Bus commuters are gifted a $10 voucher for their next purchase by tapping an NFC coded chip or scanning a QR code placed on an ad behind bus seats. With retail steadily expanding into the e-commerce frontier, most purchases are made, or being influenced, online. Budding technologies like Transit can provide businesses with valuable data on location, frequency, device interaction and the time-of-day for analysis. The Iconic’s conversion rate peaked at 5 times higher than an average day after the campaign. Mobile platforms are not the only focal point of digital outdoor. Augmented Reality (AR) is a vanguard technology that alters the perception of the real world through graphically enhanced images. AR platforms are skyrocketing, being a vantage approach amidst major brands like Tic Tac and Marks & Spencer. Tic Tac’s Shake it Up campaign displayed personalised ads centering around the consumer’s wants. When viewing the ad through a mobile phone, users could interact with the campaign using AR technology. Marks & Spencer has taken AR to a whole new level by utilising AR technology in children’s shirts. While viewing the shirt on the Marks & Spencer app, the graphic image on the tee leaps out, almost tangibly. This interactive element adds product appeal and encourages consumers to make a purchase. Another AR experience for Marks and Spencer’s Valentine’s Day campaign featured an app called Aurasma that brings billboard images of lingerie models to life when a phone is held over the billboard. The company is looking to expand their multi-channel outlets to capitalise retail opportunities, by upgrading their online shopping interactive experiences. Using social media integration for your digital advertising amplifies your campaign exposure, and the customer’s likelihood of purchasing. Using the data readily available from major platforms, like Facebook, Twitter and Instagram, ensures brands can analyse public consumer profiles and release locational advertisements that suit the moment. Brands can then share customer’s tweets, posts and messages by live broadcast on digital billboards. Why digital billboards and advertising? The flexibility, time-sensitivity and efficiency of digital outdoor advertising has made it a new forerunner in the media marketing mix. There is cut-throat competition for outdoor digital innovation amidst high-end brands to engage with their customers in different ways. The imperative need to personalise communication, and reach a massive number of consumers, will only expand the demands for incorporating digital into outdoor advertising.